Early February. The wind arrives from the south west cresting on the Gulf Stream bringing in the mild moisture laden climate we are so accustomed to these days in winter. It’s raining again. The landscape at Horton has transformed from those few cold days over winter to an all over dreary grey. Hints of colour emerge from the hedgerow, from old unwanted berries or lichen on tree and wall, catching your eye and enlightening the garden. Snowdrops are emerging, so too the aconites. The fine loams are now heavily saturated creating impenetrable barriers to many areas under foot with little chance of access or work being carried out until at least the next sharpest of haw frost. The lack of winter colour was quite evident at Horton over the last few weeks and not like my own garden where the winter palette is now lifting through the contrasting tints through bud, twig and blossom of Cornus Alba, Witch hazel, and Winter Jasmine. The wild yellow of the Jasmine is likened to my florescent jacket and hard hat, fashion de rigueur for Horton under building regulations. For those that are new to Horton Court, it is a Grade 1 listed mansion near Bath that came back to the NT in 2008 after a long lease and in a poor condition. A large number of options have been explored since 2008, none of which have been implemented due to the high capital cost of repair. Until now that is and closed through its renovation. The Court houses the oldest roofed structure within the National Trust’s portfolio with a history stretching back to 972. Over the last 1,000 years the building has been moulded and changed by various individuals, as tastes and fashion have dictated. 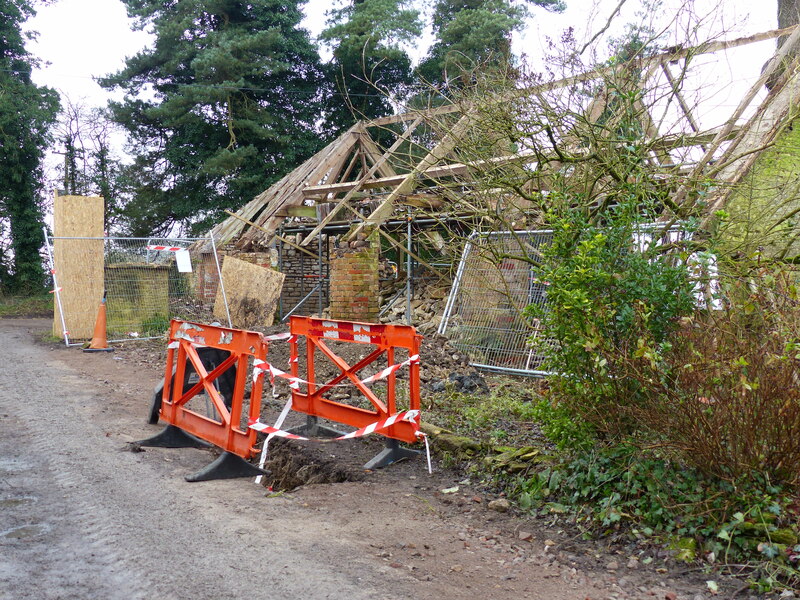 January finally produced the much anticipated planning permission for the interior refurbishment to begin. 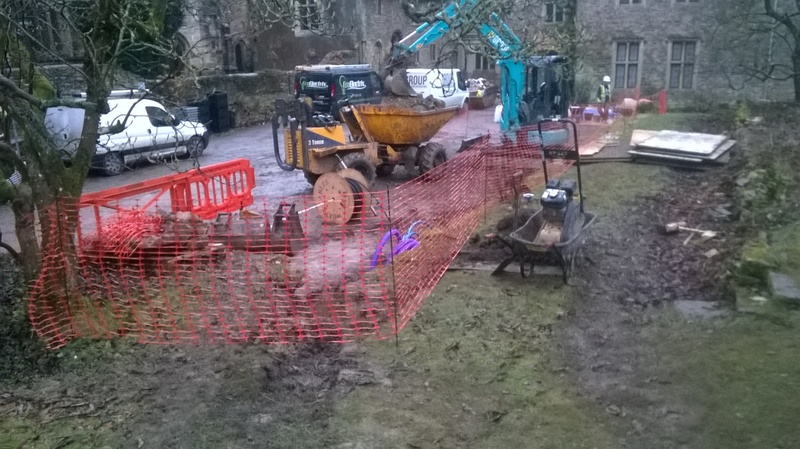 Its delay however has been advantageous to the project work in the garden and wider landscape. 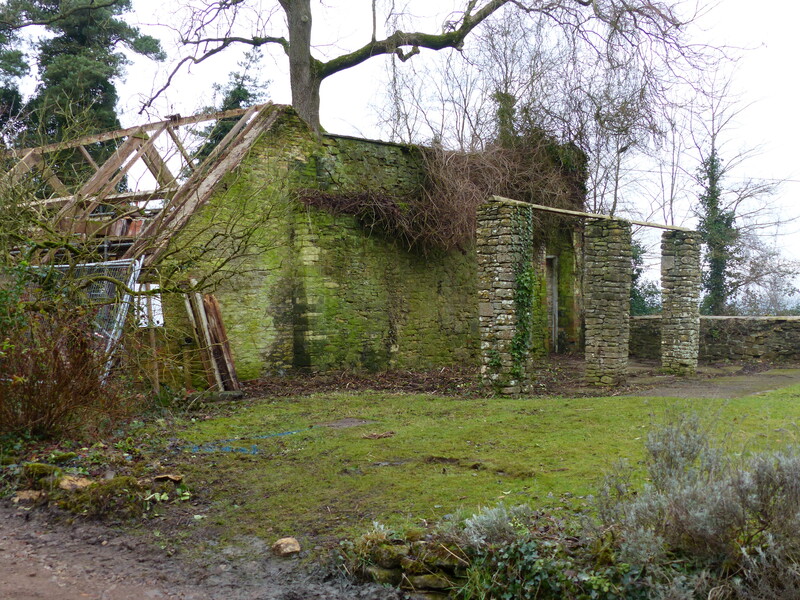 Construction work otherwise engaged in the house itself has turned its attention to the numerous walls, steps and paths highlighted many months ago now for re setting, relaying and building. Basic demolition and preparation work began in earnest and my impatience of waiting at least another 9 months for the beginnings of hard landscaping has ended. With the promise of an earlier finish months ahead of schedule, the completed work has time to bed and we can focus our attention to the numerous beds and borders. There is much buzz around the court and it’s now hard to look in and not see changes on a daily basis. 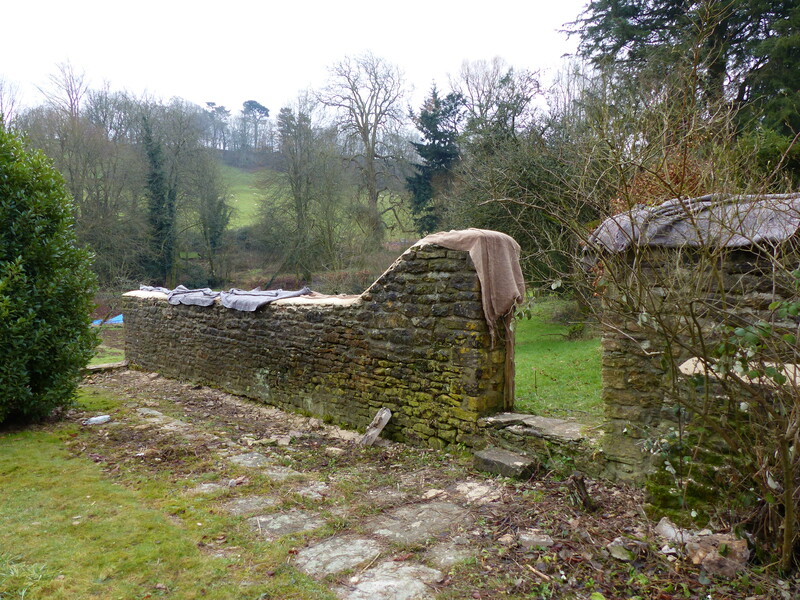 The cart shed is now minus roof and back wall with further ground investigation work to check the solidity of the ground. Herbaceous borders have been further revealed leaving lavender, Rosa Sharon and Hypericum along the main drive. A job for not the faint hearted was to clear out the vegetation accumulated in the bays adjacent to the stable. 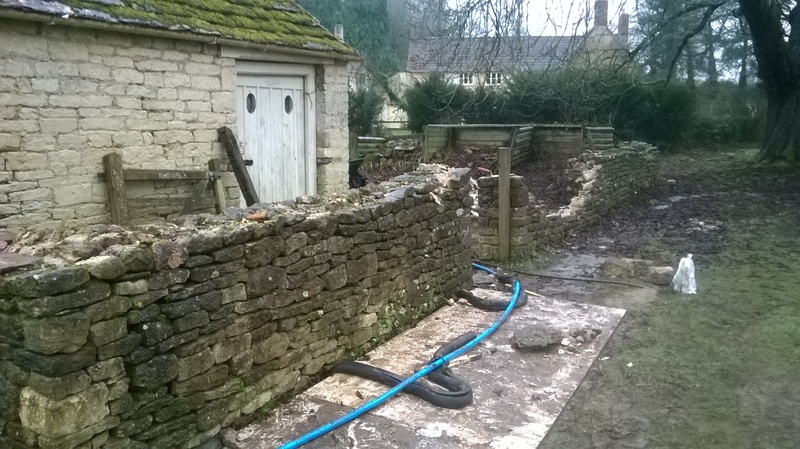 Within these bays we found deposits of walling stone left many years ago which would be just the job to help rebuild the wall surrounding the stable. The old Male ferns, Crocosmia and at last the epinocs have been cut on the lower terrace! However With pleasure there is pain as more evidence of ground elder presents itself in most of the borders. Delaminating walls are beginning to see some attention too. We have a long way to go but it is heartening to see at last the beginnings of transformation.